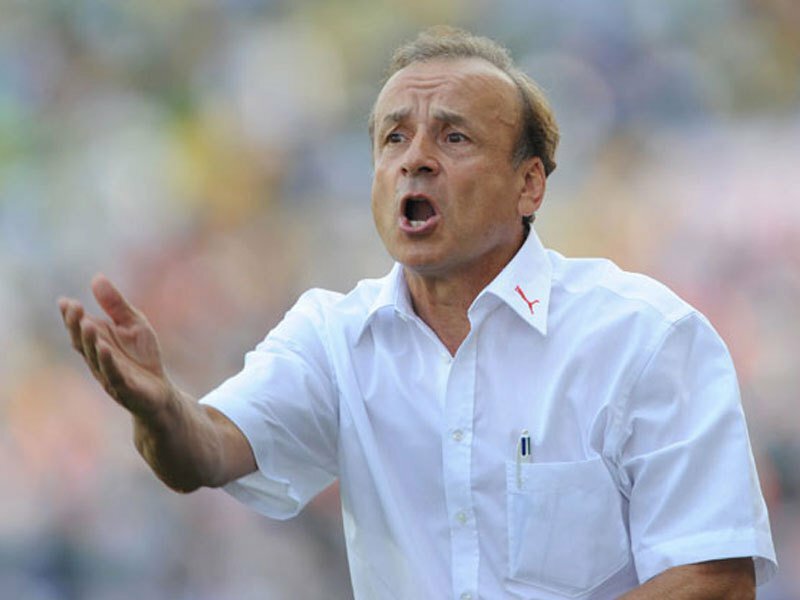 Gernot Rohr has been offered a two year contract by the Nigeria Football Federation following the Super Eagles’ qualification for the World Cup in Russia next year. Franco- German, Rohr got a two year deal in August 2016 and Amaju Pinnick, president of the NFF explained that one of the conditions to get an extension was to qualify Nigeria for the World Cup. According to Pinnick, the resolve of the Federation’s leadership to ensure there are no distractions of any size or complexion around Nigeria’s 2018 FIFA World Cup preparation and participation informed the offer of a fresh, two –year contract to Super Eagles’ Technical Adviser, Gernot Rohr. In qualifying for the World Cup, Nigeria thoroughly overhauled a “Group of Death” spanking 2012 AFCON winners Zambia home and away and earning four points from home-and-away clashes with fellow 2014 World Cup finalists Cameroon and Algeria. Second –placed Zambia finished six points behind the Super Eagles. “We have decided to confront head-on any possible area of conflict or controversy, and fully resolve each and every possible friction point well ahead of the competition,” Pinnick said. “After signing the agreement on payment to the team from expected FIFA income, the next stage was to take care of the Technical Adviser. He has done very well and does not need to go into the World Cup uncertain of his future,” stated Pinnick. The 64 –year old Rohr, a former Germany defender, flaunts a sterling record with the Super Eagles, winning seven of 12 matches and drawing four in his 15 months in charge so far. His only loss was the 0-2 reverse to South Africa’s Bafana Bafana in a 2019 AFCON qualifier in Uyo in June 2017. Under him, the Eagles have beaten Tanzania, Zambia (twice), Algeria, Togo, Cameroon and two –time world champions Argentina, and drawn with Senegal, Corsica, Cameroon and Algeria.